Let’s get this party started, Class of 2020.. It's your turn! First off, thank you! I am SO excited about your interest in wanting to be a part of the IBI Senior Team. Each year my goal is provide the best senior experience to kick off your senior year! As the official “faces” of Images By Ivy, my senior team represents my studio and brand by sharing photos and their experience on social media and telling their friends & classmates about their one of a kind senior portrait experience! Not only is this about the experience, this is also a great opportunity to earn credit towards your senior products. As one of the select photographers in the area specializing in seniors, I focus not on working with the MOST seniors in the area, but rather providing an amazing senior experience to a limited number of students. 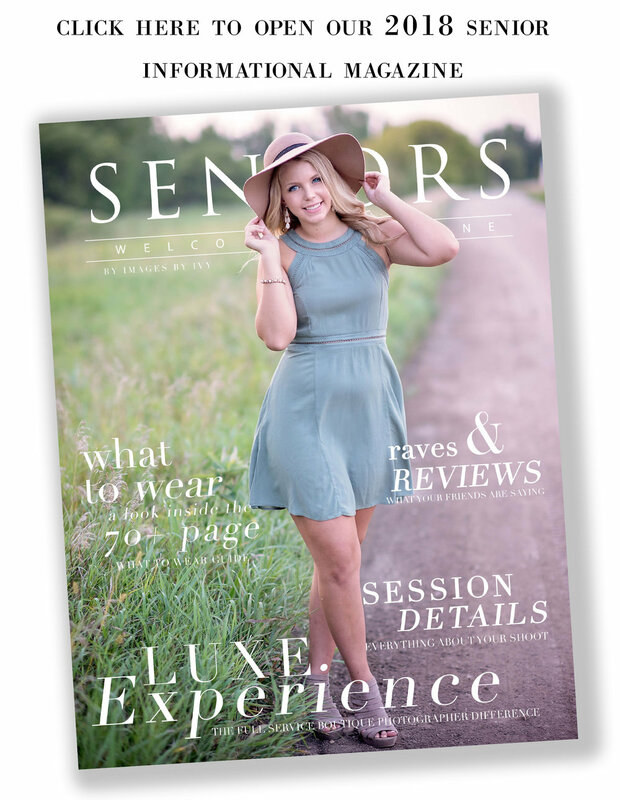 Please take a few minutes to fill this out and explain why you want to be part of the ultimate senior photo experience and senior rep team offered in West Central Minnesota! Why Choose Images By Ivy? I believe that your senior photos should capture your authentic personality and who you are as a person. You deserve the absolute best senior photos experience possible and it is my promise to deliver that to you. 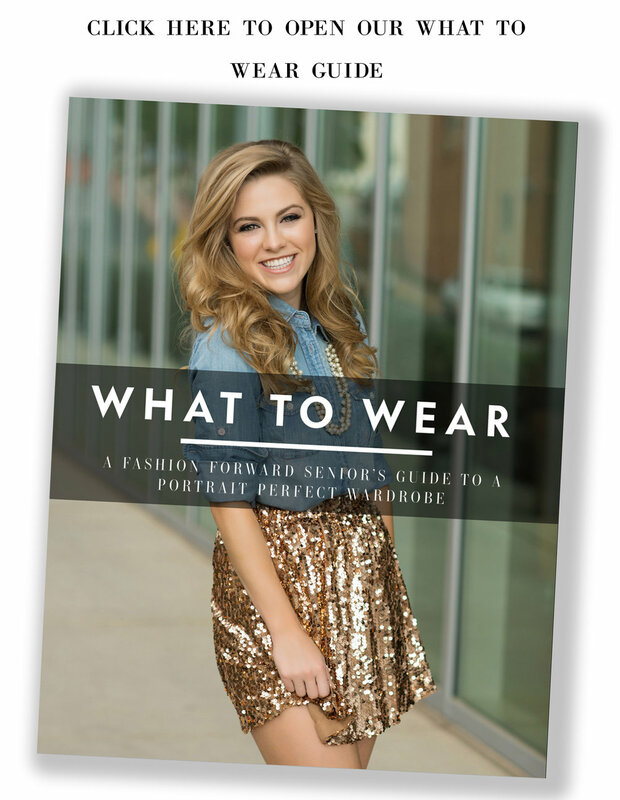 Images By Ivy has been nationally featured by Senior Style Guide Magazine's Blog, and Seniorologie's Blog for their work with their graduating senior clients. Not only are you a part of the IBI team & only senior team program in west central Minnesota, you also have access to exclusives that regular IBI Seniors don't. This is truly about you forming connections with other individuals and something that is more than just senior photos. As an Images By Ivy model, you will get to participate in themed shoots throughout the year, receive a model app loaded with your images, social media images, a swag bag, team t-shirt, and a bunch of other awesomeness + swag! You will also be able to earn your portrait product collections FREE by referring your friends and having them book their senior sessions with Images By Ivy! -You will get to participate in our Spring BFF Team19 Shootout! This is one of my FAVORITE shoots - plus, you get to bring your bestie! You and your bestie can come up with fun coordinating outfits, or put your heads together to come up with a creative session theme (you provide outfits/costumes). -Senior Reps will have exclusive participation in concept shoots and projects throughout the year, plus rep only perks and fun surprises throughout the school year! -25 custom referral cards with photos from the spring shootout to hand out to your friends. -Custom Mobile App with your group session photos! -With one referral*, you will receive a FREE mini session during a different season. With two referrals, you will receive either another FREE mini sessions or $50 cash -- & the perks get even better from there! -Must be willing to pay the $150 session fee upon signing contract to hold your session date. Must also acknowledge that there is a $500 minimum order requirement with every senior order. -Must plan to work exclusively with Images By Ivy during the summer before and your entire senior year. Senior reps cannot work or represent any other photographers (including yourself or any members of your family). -Must be able and willing to attend a consultation meeting for IBI senior reps with parents. At this consultation, we will discuss the commitment and pricing of senior products, as well as sign contracts, pay booking fee, and reserve session dates. If you are unable to schedule a consultation, we can set up a conference call or skype with you and your parents to go over all of the information and contracts. Whether it's winter, spring, summer, or fall, let's get together and create! Throughout the year we'll have the opportunity to work together to create something special! Afterwards, you'll get all of your new photos uploaded to a custom mobile app! Feel free to share these, and tell all your friends about your Images By Ivy Experience! I would LOVE to work with YOU! 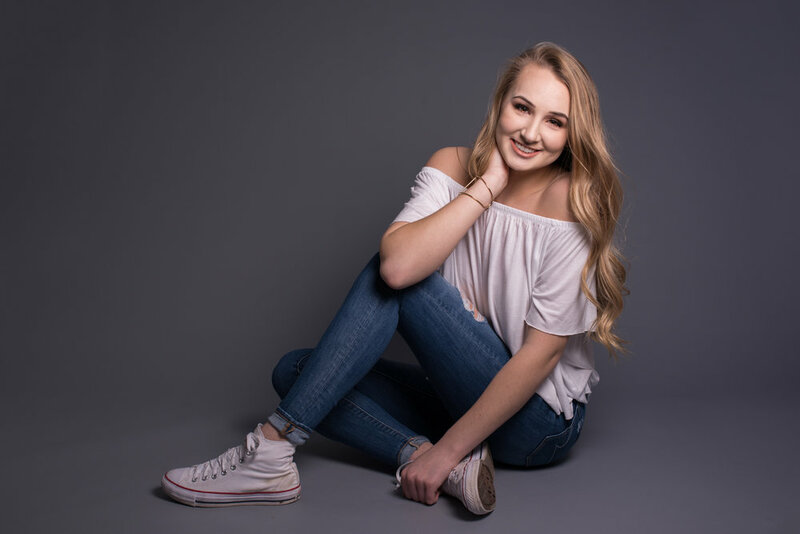 If this all sounds like something that you (and your parents) are interested in, please take some time reviewing our Team19 Senior Model Rep Magazine AND our 2019 Senior Informational Magazine to learn more about the Images By Ivy Senior Experience. The Senior Rep application is at the bottom of this post – fill it out, hit submit, and wait for an email from me! Question only used for team shirts. If you don't have one, type "none"
Constantly! I'm always checking on my friends and posting my own updates. YES, I have read and understand.